What Do The Best Janitors Do? Is Your Janitorial Staff Up to Par? Do you love your janitorial service? You should! No matter the size of your commercial facility, there are certain performance standards you should expect from your cleaning crew. In today’s post, we’ll be reviewing 7 things every great janitorial staff should be doing. Does yours measure up? Keep reading to find out! You should never have to worry about whether your janitors are doing a good job. You should have confidence in their work and be sure that they’re helping your building shine. You shouldn’t have to worry about what potential tenants or your employees will see when they enter your building. Attention to detail. Especially in often overlooked areas. 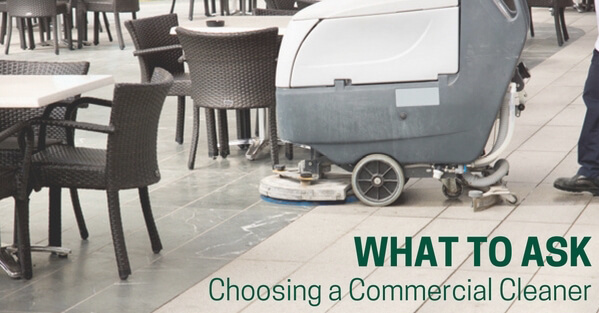 If your janitors aren’t being thorough and giving your entire space the attention it deserves (and demands), it might be time to start exploring your options! Most of our employees have been with us for years and that’s something we’re really proud of! And it shows in our results, too! Want to learn more about how to create a great office environment, get the most out of your cleaning staff, or take care of the property you’re managing? Read a few of our most popular blog posts! If you manage a commercial property, office building, or apartment complex, you need to read this post! Is allowing dogs in your office profitable? You might be surprised. Find out why great employees love office dogs! Don’t fall behind on your office cleaning! Or if you’ve already fallen behind, learn how to get your business back on track. There’s a saying about umpires in baseball: when you don’t notice them, they’re doing their job right! The same goes for your janitorial staff. When everything is working well, you shouldn’t even notice them! Your building will be clean your employees, clients, customers, and tenants will be happier, and you’ll be able to focus on other projects. If you’re constantly thinking about your janitors, something’s seriously wrong. Great janitors do more than just what you ask of them. They look for opportunities to provide exceptional service. For example, your janitorial service can help your office become more eco-friendly by helping you start or improve your recycling program. They may notice recyclables in the garbage or vice versa. They can also identify wasteful uses of energy like excessive after-hours heating or lights being left on. Your janitors should always be looking out for your best interests and the best interests of your business. At Cascade Building Services we provide our janitorial staff with the ongoing training they need to be the best in the business– and the proof is in the results! Your janitors don’t know everything! A great janitorial staff should feel like a trusted partner who works with you– not just another vendor you need to manage. You should feel like the feedback you give your janitors is being listened to and followed to the letter. If your staff likes things a certain way, tell your janitors! And you should only have to tell them once. At Cascade Building Services, our janitorial service clients have a dedicated account manager who’s always available to answer questions and receive feedback on how we can improve our service. They’ll work with your janitors to make sure the job is done right and just how you like it. When you’re running a business or managing an office space, you need to look for opportunities to invest in services that have a real impact on your bottom line. Your janitors and office cleaners shouldn’t be another cost you pay. Great janitors actually add value to your business and actively work to improve your space. Do You Love Your Janitorial Staff? Are You Working With Portland’s Best Janitors? Are you starting to wonder if your janitorial staff is doing a great job? Are they living up to your expectations and adding value to your business? At Cascade Building Services, we’ve been providing complete building cleaning and commercial janitorial service to the Portland area since 1961. We’re always available to visit your office and provide a custom no-obligation quote. Ready to get started? Contact us today to learn more.